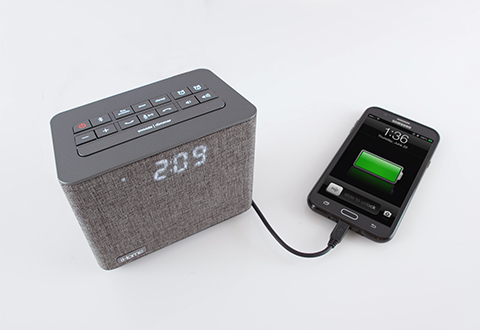 Rise and shine to your favorite tunes using the Luxe Phone Charging Alarm Clock Radio. 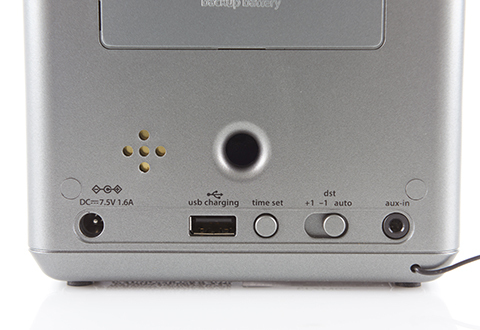 Simply connect your smartphone via Bluetooth or via the aux-in jack to begin playing music while charging other electronic devices simultaneously. 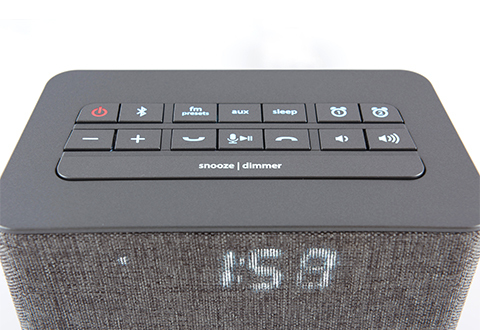 Enjoy FM radio with 6 station presets, built-in mic, voice echo cancellation, caller id and controls for answering/ending calls. 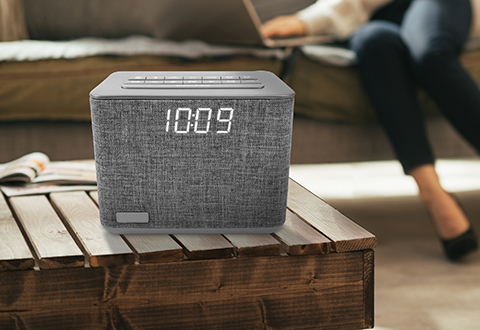 Access Siri®, Google Assistant™ and Melody Music Assistant™ to listen to music, send a text message, check the weather and more. 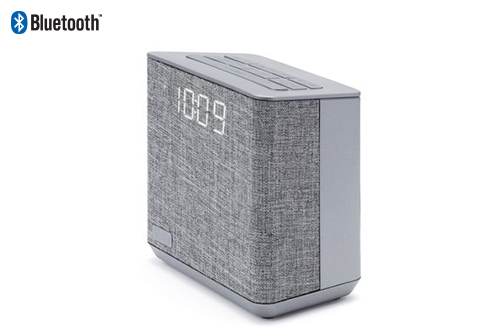 Features dual alarm with scheduling so you can rise to music via Bluetooth, FM radio station or choose a built-in tone. 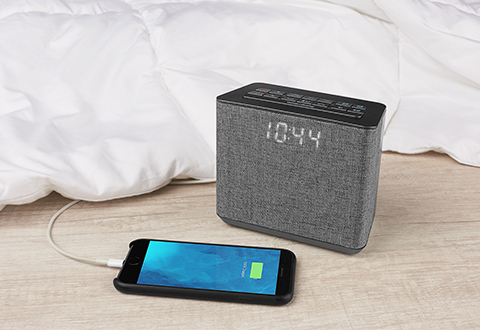 Rise and shine to your favorite songs every morning using the Luxe Phone Charging Alarm Clock Radio. 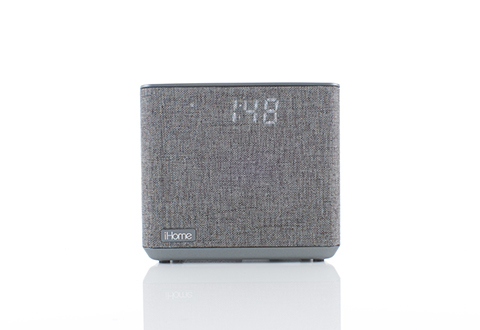 • Note: Voice control requires an active internet connection on connected Bluetooth device with iOS 10 or later or Android 4.1 and later. 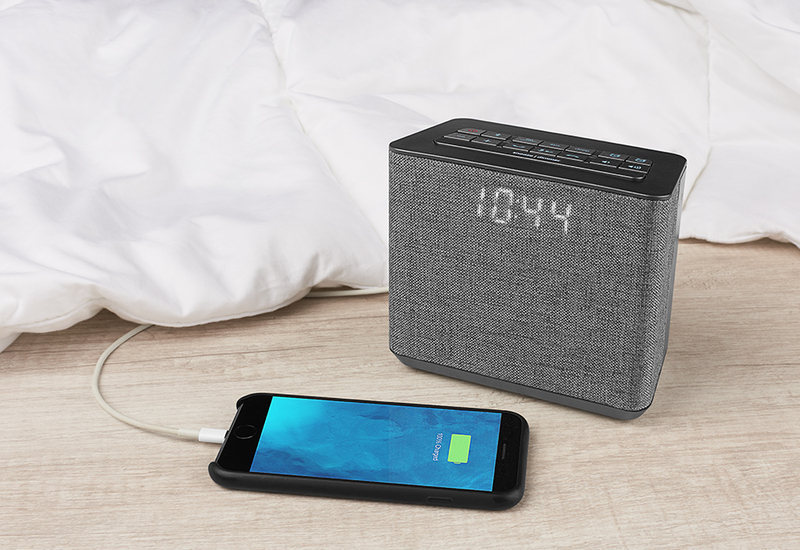 • Bluetooth range: up to 33 ft.